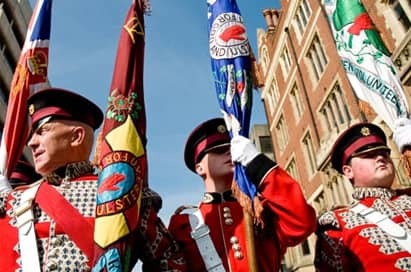 Explore a variety of topics from historical, cultural and religious perspectives such as The Apprentice Boys of Derry, religious affiliation, cultural identity, ecumenism and cultural responses to “The Troubles”. Visit will include a guided tour of the exhibition, which outlines the people’s story of government oppression, the struggle for civil rights, the Battle of the Bogside, internment, Free Derry and Bloody Sunday. Take a walking tour of the city walls with a registered tour guide to highlight the city’s rich heritage and with a particular focus on the contemporary history. The tour will use the city walls as a backdrop to illustrate the recent past. 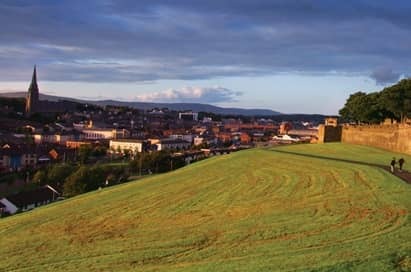 The Memorial Hall is the world headquarters of the Apprentice Boys of Derry organisation, one of the so called ’loyal’ institutions and it is one of the finest buildings standing on the West Wall overlooking the Brandywell and Bogside. 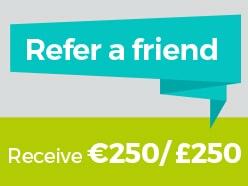 The Cathedral is widely recognised locally, nationally and internationally for its active promotion of ecumenical and bridge-building activities. 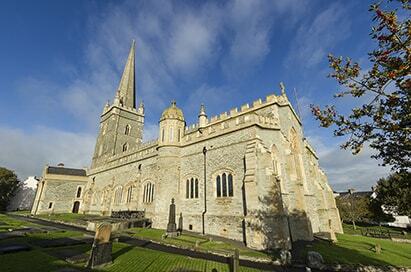 Explore the murals of Derry with an experienced tour guide. 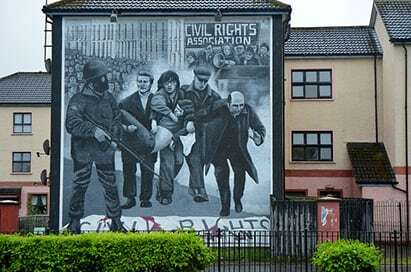 The murals were created by local artists and depict the past struggles of Northern Ireland including Bloody Sunday and The Battle of the Bogside. 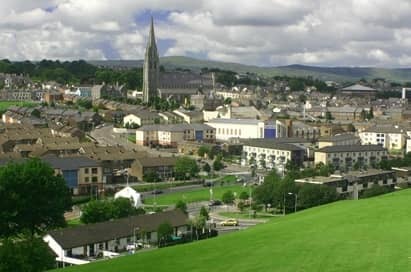 The Bogside is now a vibrant and lively area with a true feel of both art and history. Your students will gain a real insight into the recent history of the local area and be given the opportunity to expand on their classroom studies. This former Derry Gaol was demolished in 1973 and the Heritage Tower is all that remains. This location was once home to famed Irish rebellion leaders, Wolfe Tone and De Valera, who had vital roles in the Irish fight for independence. 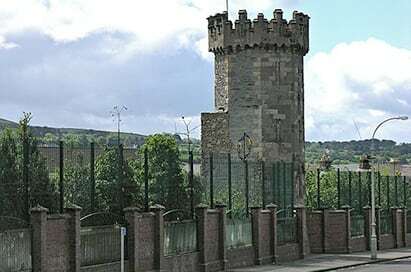 The tower is now one of the smallest museums in Northern Ireland and home to a collection of WWI artefacts. 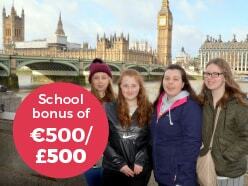 Take your students for an unforgettable a walk around the 400 year old city walls which preserve the original town. Wow them with the sight of “Roaring Meg” one of the original cannons, which was lovingly restored in 2005. These walls are completely intact and among the finest examples of walled cities in Europe. 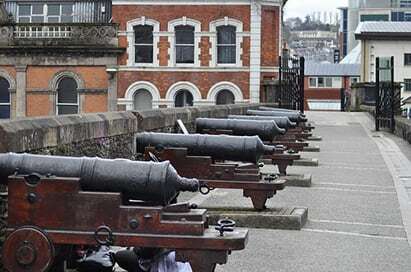 Located within the wall are many historic buildings, including Derry Playhouse, First Derry Presbyterian Church and the Apprentice Boys Memorial Hall as well as many shops and businesses. Lead your group around the city walls to view the seven gates. 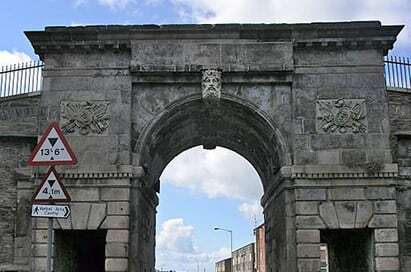 Built in the 17th Century, the four original city gates are Bishop’s Gate; Ferryquay Gate, which was the gate that on December 7th 1688 was closed by the 13 apprentices to prevent troops entering the city, leading to the siege of 1689. Shipquay Gate looks down on Guildhall Square and across to the Peace Bridge and Butcher Gate which was also one of the four original city gates. Castle Gate, New Gate and The Magazine Gate were later additions to the city walls. Available from any location in Ireland, our executive coaches are fitted with seatbelts, toilet facilities, air conditioning, DVD and reclining seats.